Chris Taylor and the 46 Plus Win Club · Let's Go Amerks! The Rochester Americans won their 46th game of the season Sunday afternoon in Belleville and also earned there 99th point in the standings to finish the regular season. Compared to franchise history, this years team is tied for 7th overall at 46 wins and tied for 8th all time with 99 points. 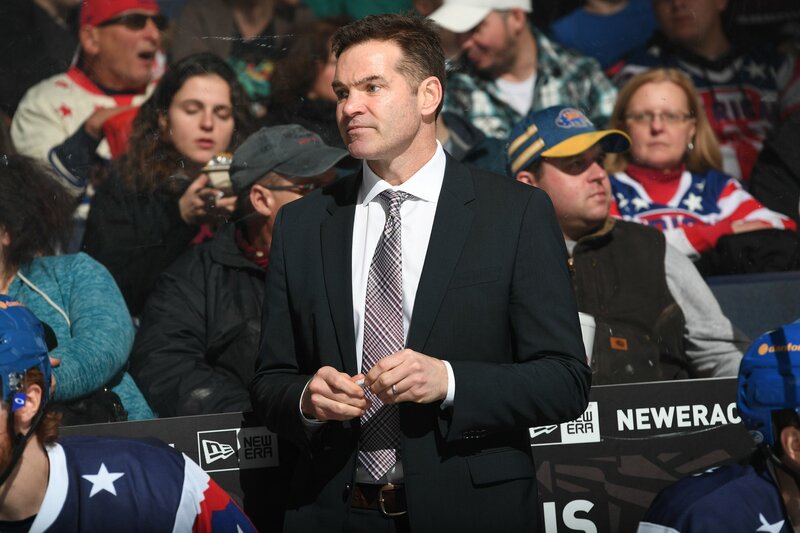 Chris Taylor is the first Amerks head coach since the 2006/2007 season to reach 46 or more wins. The 06/07 team reached 48 wins and was coached by Randy Cunneyworth and featured names like Clarke MacArthur, Mike Ryan, Mark Mancari, Drew Stafford, and goalie Craig Anderson. It was the second year of the dual affiliation between the Buffalo Sabres and Florida Panthers. That team ran into a young Carey Price and lost in the first round of the playoffs. The list of coaches with 46 or more wins in franchise history is an elite club that includes Joe Crozier, Randy Cunneyworth, Brian McCutcheon, John van Boxmeer, and Mike Keenan. Four of the six Calder Cups won by the Amerks were by teams with 46 wins or higher. There have been three other teams with 46 or more wins that have lost in the finals. Credit to Gord Dineen and Toby Petersen as well for what this team has been able to accomplish in the regular season. The work they do with the forwards and defense seems to often be taken for granted by those on the outside. Those are some big names in Amerks coaching history to be associated with. What happens in the playoffs will tell the rest of this story.